Mr. Bohorquez is a Vice President in the financial advisory and transactions practice at GE Healthcare Camden Group, with more than 18 years of financial advisory experience in healthcare. He has served as project director/finance lead on over 200+ financial/capital planning and public finance projects for non-profit hospitals / healthsystems nationwide and is recognized as a subject matter expert in the area of public finance, financial planning and budgeting. Prior to joining GE Healthcare, Mr. Bohorquez most recently served as Senior Vice President at Kaufman Hall and Associates in Los Angeles and was responsible for managing engagements and working with senior management teams at hospitals and health systems. His areas of expertise include financial advisory for public finance bond transactions, strategic, financial, and large scale capital deployment plans. He has served as the financial advisor for tax-exempt debt transactions in total of $4+ billion. Mr. Bohorquez’s previous experience includes serving as Manager with Ernst & Young, LLP where he managed teams that worked on M&A transactions and operational turn-around projects. He also served as interim Vice President of Finance for a large hospital and as regional contract manager/finance manager for Tenet Health System. 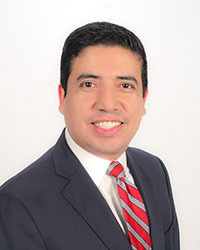 Mr. Bohorquez received his undergraduate degree in NeuroScience from the University of California, Los Angeles (UCLA), and his Masters in Health Administration with a specialization in Finance from the University of Southern California (USC). He also completed an executive education program from Harvard Business School (HBS) in the area of Healthcare Cost Economics.